Is it safe and reasonable for chronic pain patients to take higher doses of Vitamin D? And just how high is safe? Vitamin D deficiency [WebMD] (or milder insufficency) is probably more common than once suspected. It’s tough to get enough from food alone, and many people don’t get enough from sun either. Although a 2016 New England Journal of Medicine article made headlines debunking hype about a vitamin D deficiency “pandemic,” even their estimates are “of concern”: 6% of the population, more than 1 in 20 people.1 Walk down a busy street in Canada, Russia, or the UK — there’s more deficiency in the north, and in the cloudiest and smoggiest places2 — and you’ll pass someone with vitamin D deficiency every few seconds. An important debate about the actual prevalence and value of supplementation rages on. But most of the controversy is about healthy patients — are healthy people deficient? Do healthy people need to take vitamin D?5 What about people who actually have health problems? That’s a different kettle of fish! And people in chronic pain are a particularly special case. Sweating, particularly head and face sweating, is one of the quirkier symptoms of vitamin D deficiency. Bone aching is often mistaken for muscle aches simply because people don’t expect their bloody bones to ache. The pain is a symptom of osteomalacia specifically, which is kind of like an evil twin of growing pains: bone weakening caused by malfunctioning bone building biology, not the same thing as osteoporosis13 The Mayo Clinic describes osteomalacia symptoms like so: “The dull, aching pain associated with osteomalacia most commonly affects the lower back, pelvis, hips, legs and ribs. The pain may be worse at night, or when you’re putting weight on affected bones.” Thus, vitamin D deficiency may be a partial explanation for the extremely common phenomenon of morning back pain. The connection between bone health and vitamin D is familiar to most people, but muscle is more obscure. Vitamin D actually has plenty to do with muscle, both muscle pain1516 and dysfunction (weakness).1718 This may be why some experts believe it is particularly prevalent in people with a lot of “trigger points” (muscle knots).19 Although the nature of trigger points is unclear and controversial, the role of vitamin D might actually be one of the keys to understanding them. Vitamin B12 deficiency is practically a clinical clone of D deficiency: there’s major symptom overlap, it’s surprisingly common, and testing is not as reliable as you would think. But B12 symptoms tend to be more neurological in character (more tingling, more strange sensations), and it is often more ominous and difficult to treat. See Misconceptions about a B12 deficiency. People who don’t get out much, or cover their skin a lot (sunscreen or clothing). People who live at high latitudes — anywhere the days get ridiculously short in winter. Both pregnant women and obese people need more vitamin D, so even “normal” levels may not be enough. People who have diseases that interfere with absorption of vitamin D in the gut (celiac sprue, short bowel syndrome, and cystic fibrosis). If there’s only one supplement you’re taking for your health and your diet is decent, it should probably be vitamin D.
Does taking vitamin D treat pain? Unknown! Maybe? That’s a bleak warning not to put too much hope into vitamin D. But there are still reasons for optimism! Vitamin D deficiency can be fixed. It may be tough to get enough from diet and sunshine, but supplementation is cheap, safe, and effective, so it’s an ideal candidate for presumptive treatment: going ahead and treating based on the presumption of vitamin D deficiency even if it has not been established with blood tests. By all means do that too, of course! But if a lot of healthy people take this stuff “just in case,” it’s hardly radical for pain patients to give it a shot. There’s just not much downside to this one … and chronic pain is a major bummer. So talk to your doctor, get tested, and get supplementing — it could be a big deal for you. Why not a vitamin D rich diet? Because you’d have to eat a lot of fish. Foods artificially fortified with vitamin D, like some dairy products, orange juice, soy milk, and cereals. Fruits, veggies, and grains have almost no vitamin D.
Take a fair bit, up to double the recommended dosage on the bottle. More about dosing in the next section. It doesn’t matter if you evenly distribute doses. One big dose per day is fine. Dosage: how much Vitamin D should you take? But “megadosing” is silly — don’t do that! ☠ More is not always better! Although “megadosing” Vitamin D is trendy, please beware: taking more vitamin D than you need can kill you, starting with the destruction of your kidneys. Fortunately, it takes a lot. The rest of this article focusses on addressing concerns about the efficacy and safety of supplementation. DO NOT BURN. Plenty of vitamin D is made well before you burn, and burning is one of the most cancer-causing things there is. Aim for about half way to the start of a burn, which is just a few minutes for most people in strong sunlight. Expose as much skin as possible. Every square centimetre counts, and just the skin of the face and arms is nowhere near enough. The darker your skin, the more exposure you need. Direct sunlight only. Windows block the ultraviolet radiation that you need. Sunscreen also blocks UV and prevents vitamin D synthesis. Use tanning beds only with great caution or not at all—see next section. The Vitamin D Council website has a very detailed page about sun exposure (and much more). Some experts are calling for a ban on tanning beds because of serious safety concerns, and it will probably happen eventually. Until it does, the option presents chronic pain patients with a tough dilemma. Unsurprisingly, their priorities have been ignored in the debate. Tanning definitely produces vitamin D, but not as well or reliably as natural sunlight. And it’s well-established that tanning lamps are full-blown carcinogenic, no question — just like the sun, or possibly worse.27 And so it may not be worth the risks, and at the very least it’s critical to limit your dosage. Above all, do not use tanning beds to tan! If you use them at all, use them in moderation. Many tanning beds are not actually as good as sunshine anyway (different kind of ultraviolent), and it’s hard to know what you’re getting. They may be more dangerous than has yet been confirmed (but no one’s totally sure of that yet). Supplements mostly work just fine. All of that should be a deal-breaker for almost everyone. But it’s not necessarily a deal-breaker for chronic pain patients. Tanning beds are not safe (definitely true), but neither is sunshine (also definitely true), and the stakes with chronic pain and vitamin D deficiency are extremely high (all too true). For chronic pain patients whose lives are being ruined, and more vitamin D might fix it? For those people, the limited risks of careful UV exposure in a tanning bed may “pale” in comparison to the greater danger of the pain. Use low-level or low “pressure” tanning beds only. No fast tanning! Quit well before you start to burn: just 4-5 minutes if you burn easily. Limit your sessions to 1-2/week for a couple months — its only purpose is to be as sure as possible that you get plenty of vitamin D quickly, to reduce uncertainty in the results of the treatment experiment. A more detailed look at dosing safety: are higher dosages of Vitamin D really safe? A Walmart ad in my local newspaper trumpets “75% of all Americans don’t get enough Vitamin D” and offers to sell me Maximum Strength Vitamin D3, 5000 IU capsules to “promote bone, colon and breast health.” Meanwhile, the Institute of Medicine (IOM) tells me that “the majority of Americans and Canadians are receiving adequate amounts of … vitamin D” and that no one should take more than 4000 IU a day. Apparently Walmart and the IOM aren’t talking to each other. Indeed, the official recommended dosage for adults is 600 IU per day, with a tolerable upper intake level for D for adults of 4000 IU.28 If we’re going to break those rules, there had better be a compelling rationale and evidence of safety. I have looked very hard at these questions repeatedly over the years. In any case — even if there was no error — the Walmart shopper looking at a sale on 5000 IU vitamin D capsules thinking it might help them with some vague symptoms like fatigue is a completely different critter than the chronic pain patient wondering if, perhaps, their vitamin D deficiency could be a factor in their horrible problem. Is the average person deficient? Do they need 5000 IU per day? Probably not. That is what the IOM guidelines are concerned with. But the pain patient might. The geometry of risk and benefit is different for pain patients. Both the intoxication literature and the recent controlled dosing studies have been reanalyzed by Hathcock et al. These authors show that essentially no cases of confirmed intoxication have been reported at serum 25(OH)D levels below 500 nmol/L. Correspondingly, the oral intakes needed to produce such levels are in excess of 20,000 IU/day in otherwise healthy adults and, more usually, above 50,000 IU/day. These findings led Hathcock et al to select 10,000 IU/day as the tolerable upper intake level (TUIL, or UL), with considerable confidence. I also discussed the toxicity issue briefly with Dr. Hall (quoted above). She agreed that anything under 50,000 IU is unlikely to be toxic (and again that would be especially true for temporary supplementation for deficient patients). Probably not — not to any meaningful degree. But it also a small potential side benefit to supplementation that already makes sense for chronic pain patients for other reasons. The primary result is a reduction from 42% to 40% in the proportion of participants experiencing at least one acute respiratory tract infection. It seems unlikely that the general population would consider a 2% absolute risk reduction sufficient justification to take supplements. Could there be a more potent effect for pain patients? There’s a small possibility. Pain patients may be more likely to be more severely deficient: the population that seems to get the greatest protective effect. Or there could be something about pain patients that makes them more vulnerable to infection, which could improve if the extra D helps the pain problem. But this is just speculation, of course. Eight updates have been logged for this article since publication (2010). All PainScience.com updates are logged to show a long term commitment to quality, accuracy, and currency. more When’s the last time you read a blog post and found a list of many changes made to that page since publication? 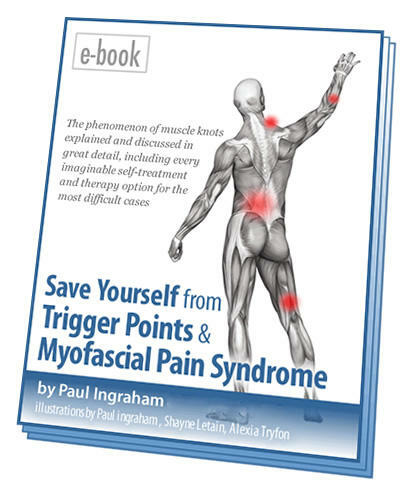 Like good footnotes, this sets PainScience.com apart from other health websites and blogs. Although footnotes are more useful, the update logs are important. They are “fine print,” but more meaningful than most of the comments that most Internet pages waste pixels on. 2017 — Significant removal of obsolete content, plus revision and updating of dosing and safety information. 2017 — New section: “Does Vitamin D prevent colds/flu?” Not really, no, contrary to recent headlines. 2017 — Safety update. Sterner and more detailed warnings about the risks of tanning beds, and the dilemma they present to chronic pain patients. 2017 — Major udpate. Four new short practical sections about how to get more vitamin D: food sources, supplementation tips, sunshine versus supplementing, and all about tanning beds. 2016 — Major update. Total renovation of this article continues with many additions and changes today: several citations and footnotes, some important new key points, some less important but interesting tangents, more specific recommendations, and a lot of reorganizing to continue making the page more useful to readers. 2016 — Significant science update. Added a significant new citation (Wu, plus some older ones, and upgraded the article to use popup footnotes instead of inline links. This UK study of more than six thousands Scottish and Welsh patients found an association between chronic widespread pain and vitamin D status in women. It could be partially explained by differences in lifestyle or social factors, but not fully. This data did not show the same connection in men. Can taking vitamin D prevent falls? Apparently so: these researchers set out to “test the efficacy of supplemental vitamin D … in preventing falls among older individuals” and found that a “high dose” (700-1000 IU a day) actually reduced falling by a whopping 19%. That’s quite a substantial effect! It’s also a rare example of research actually confirming that vitamin supplementation does something helpful — most similar research in the last decade has come up quite empty-handed. There’s limited evidence for how much vitamin D older adults need in their diet. This study was a test of over 200 men and women over the age of 64. It found that the vast majority of adults need 320-2000 IU per day during the winter, depending how much sun they got in the summer. This paper does not discuss the safe upper limits of supplementation dosages. Indoor tanning has become increasingly popular over the past decades, despite evidence of an increased risk of melanoma and, possibly, nonmelanoma skin cancer. Tanning bed proponents cite the health benefits of vitamin D to support indoor tanning, including concerns that reduced vitamin D levels or certain vitamin D receptor polymorphisms may be associated with increased incidence of various cancers, including cutaneous melanoma. However, most tanning devices primarily emit ultraviolet A, which is relatively ineffective in stimulating vitamin D synthesis. Health benefits can be fully dissociated from the ultraviolet exposure risks with vitamin D supplementation, although optimal levels remain to be established. Indoor tanning represents an avoidable risk factor for skin cancer, and education of the general public as well as the enactment and stricter enforcement of indoor tanning legislation are a public health imperative. While symptoms of toxicity are unlikely at daily intakes below 10,000 IU/day, the FNB pointed to emerging science from national survey data, observational studies, and clinical trials suggesting that even lower vitamin D intakes and serum 25(OH)D levels might have adverse health effects over time. The FNB concluded that serum 25(OH)D levels above approximately 125–150 nmol/L (50–60 ng/mL) should be avoided, as even lower serum levels (approximately 75–120 nmol/L or 30–48 ng/mL) are associated with increases in all-cause mortality, greater risk of cancer at some sites like the pancreas, greater risk of cardiovascular events, and more falls and fractures among the elderly. The FNB committee cited research which found that vitamin D intakes of 5,000 IU/day achieved serum 25(OH)D concentrations between 100–150 nmol/L (40–60 ng/mL), but no greater. Applying an uncertainty factor of 20% to this intake value gave a UL of 4,000 IU which the FNB applied to children aged 9 and older and adults, with corresponding lower amounts for younger children. Thus, we confirm the findings of these investigators with regard to the published RDA for vitamin and we call for the IOM and all public health authorities concerned with transmitting accurate nutritional information to the public to designate, as the RDA, a value of approximately 7000 IU per day from all sources. We note that this conclusion applies specifically to the IOM’s designation of 20 ng/mL as the lower bound of adequacy, and that higher values, such as that of the Endocrine Society and GRH, would mandate the higher RDA values cited above. With regard to possible safety concerns related to such a recommendation, we note that: (a) as the figure shows, the mean 25(OH)D and the upper bound of the 95% probability range for the supplemental intake of 3875 IU/day are less than 50 ng/mL and 100 ng/mL, respectively; (b) the correctly calculated RDA is well below the cutaneous production of vitamin D from summer sun ; and (c) the total, all-source intake of 7000 IU/day is below the no observed adverse effect level (NOAEL) of both the IOM and the Endocrine Society, below the tolerable upper intake level (UL) of the Endocrine Society, and well within the safe range delineated by Hathcock et al. , who had generated that range using the IOM’s method of hazard identification.